Kat Falls is the author of Inhuman, Dark Life, and Rip Tide. A graduate of Rensselaer Polytechnic Institute, she holds an MFA in screenwriting from Northwestern University, where she now teaches. She lives in Illinois with her husband and three children. "[T]here's no denying the nifty premise, solid characterization, and tense moments that contribute to a cinematic reading experience. Falls's undersea world warrants further exploration." "Falls creates an interesting reality in her new novel. . . . Based on the young ages of the characters, this book will appeal to middle grade readers, who will enjoy the novel's mystery and suspense. It is a definite must-read for SF fans." "A Western . . . with plankton instead of cows, harpoons instead of six-shooters and submarines instead of covered wagons . . . and a few plot twists keep the tension high. A thrilling conversion of the classics to one of our newer frontiers." 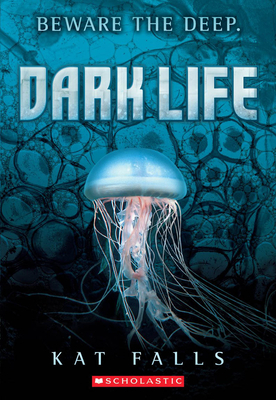 "[T]he exotic setting and well-conceived details about undersea living, along with likable characters and a minor surprise at the end, will keep readers turning the pages."